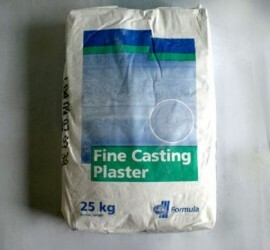 Fine Casting plaster is probably the most common general purpose plaster. It is a "beta" plaster versatile and economical its used in numerous industries. It is light in weight and easily carved once set.. Plaster/water ratio: 1.3kg/Litre.